ANDREA DEL CASTAGNO. 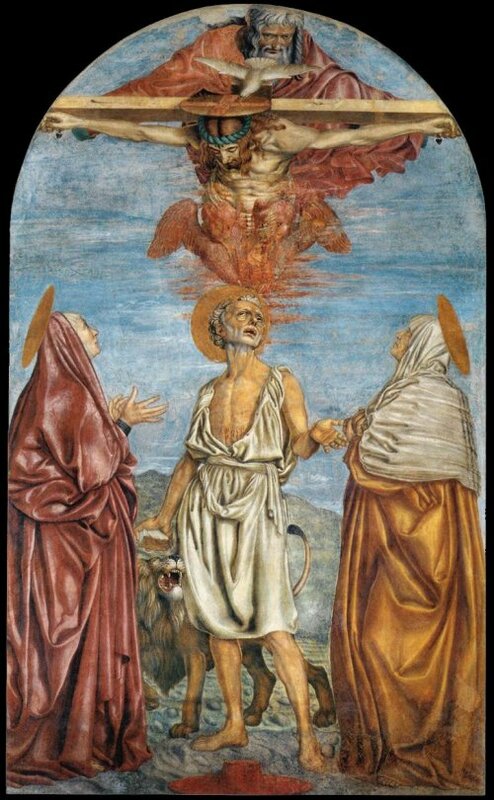 The Holy Trinity, Trinity with Saints Jerome, Paula and Eustochium. c. 1453. Fresco. SS. Annunziata, Florence. Weblink. Click on the image to see a larger view.